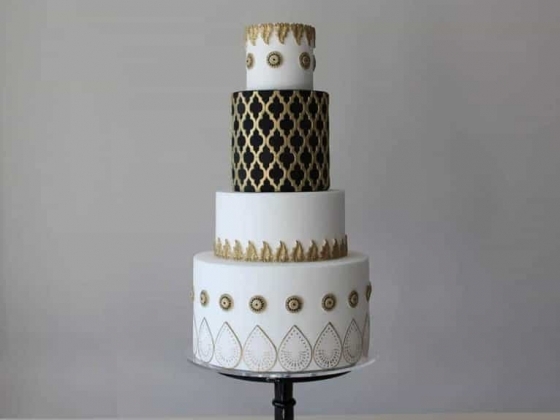 A Le Cordon Bleu trained pastry chef, Asha started Panache Cake Design to explore her love of cake making and appreciation for good style and design. 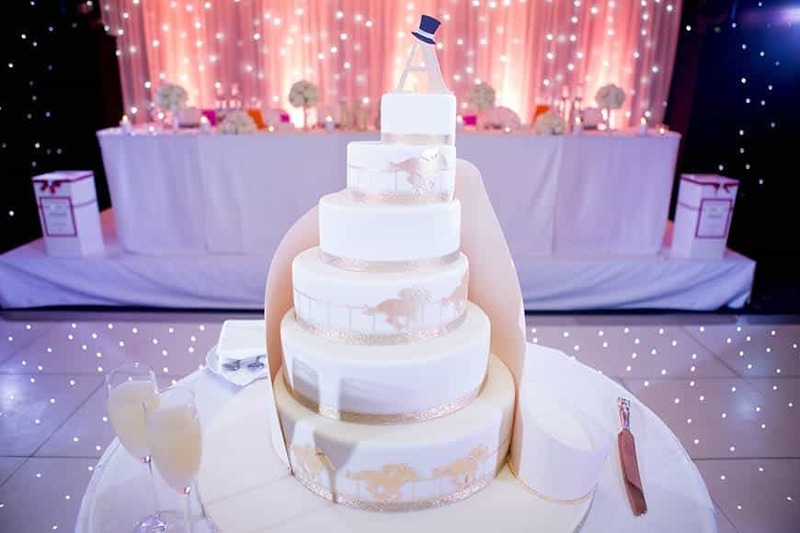 Taking inspiration from all aspects of your special day, from colour schemes to wedding attire, printed invitations to floristry, your wedding cake will be designed to be personal to you. 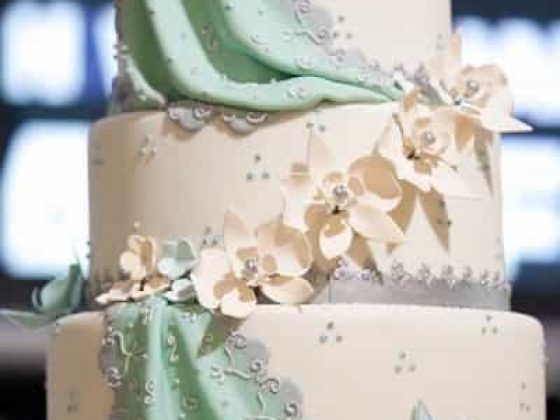 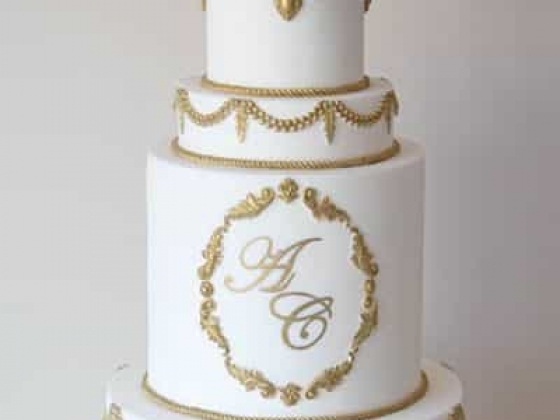 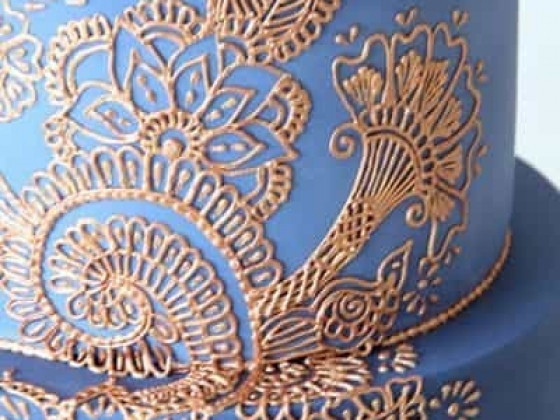 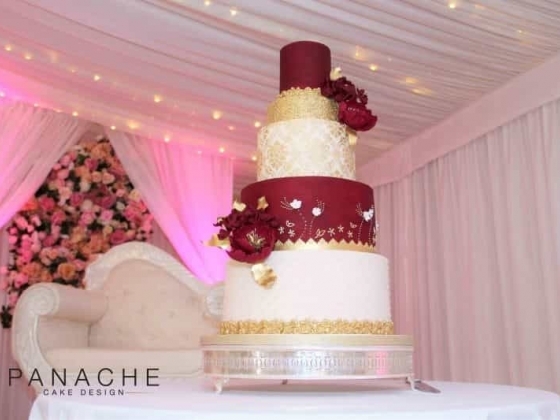 Panache Cake Design wedding cakes are eclectic in style, and showcase Asha’s attention to detail and believe that well-executed designs are timeless. 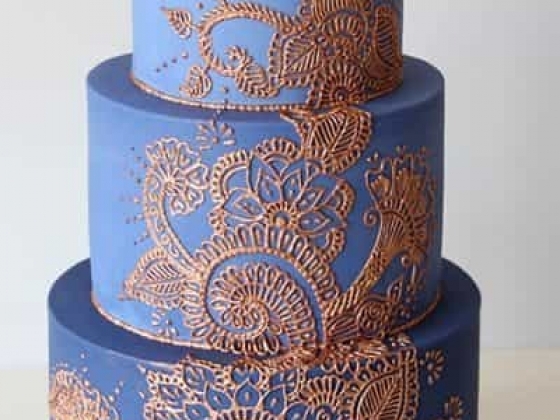 Her portfolio ranges from romantic, floral extravaganzas to intricately hand piped henna patterns, bold and contemporary graphics to the rustic and undone. 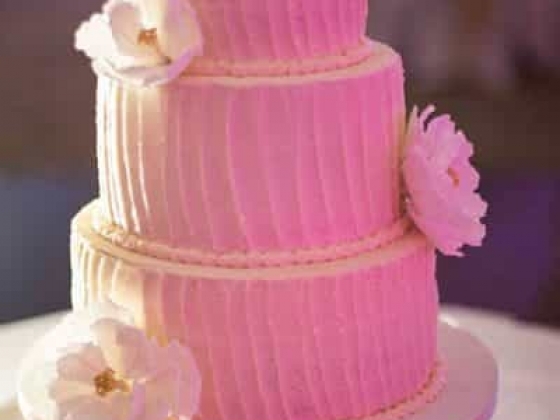 Asha is passionate about delectable flavour combinations and the cake menu offers classics like vanilla bean sponge or light and citrusy lemon sponge layered with homemade buttercreams, preserves and curds. 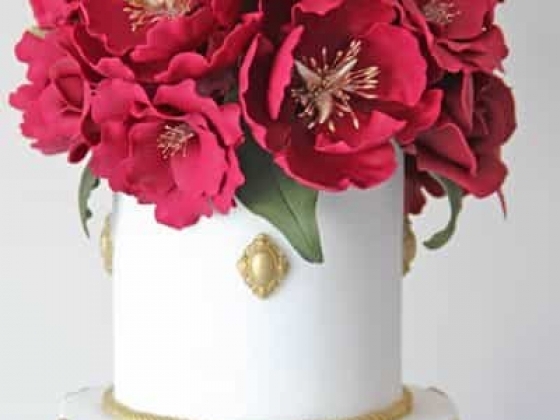 Drawing from her love of European patisserie, you can also find a delicious hazelnut praline chocolate cake, an intriguing black cherry and tonka bean cake, and even a Middle Eastern inspired pistachio, lime and fragrant rose cake. 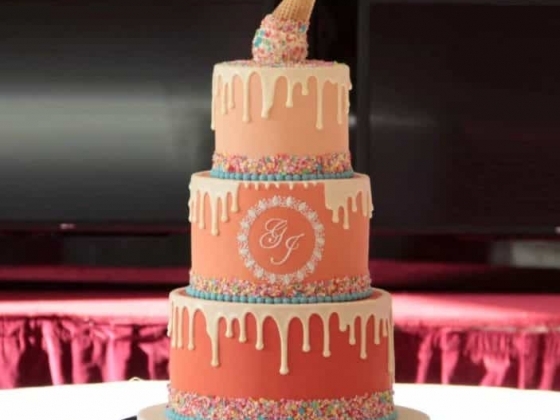 She believes everyone should be able to enjoy exquisite cake, and many of her recipes can be adapted to suit egg free, nut free and gluten free diets. 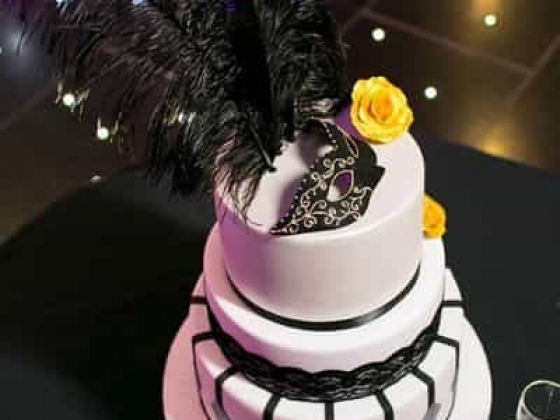 Whichever flavour you choose, you can rest assured that it will be deliciously indulgent and leave a lasting impression with you and your guests. 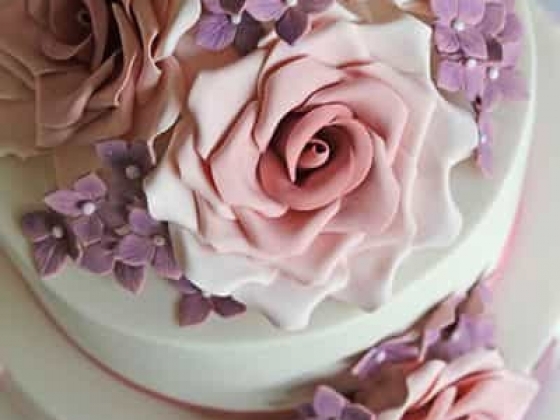 Panache Cake Design also offers a range of wedding favours, perfect for a dessert table or to present to your guests. 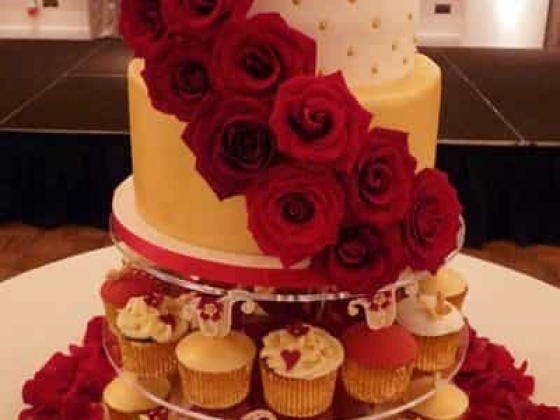 Iced biscuits, macarons, meringues, truffles and cupcakes are just a few of the options available to you and can be individually packaged at your request. 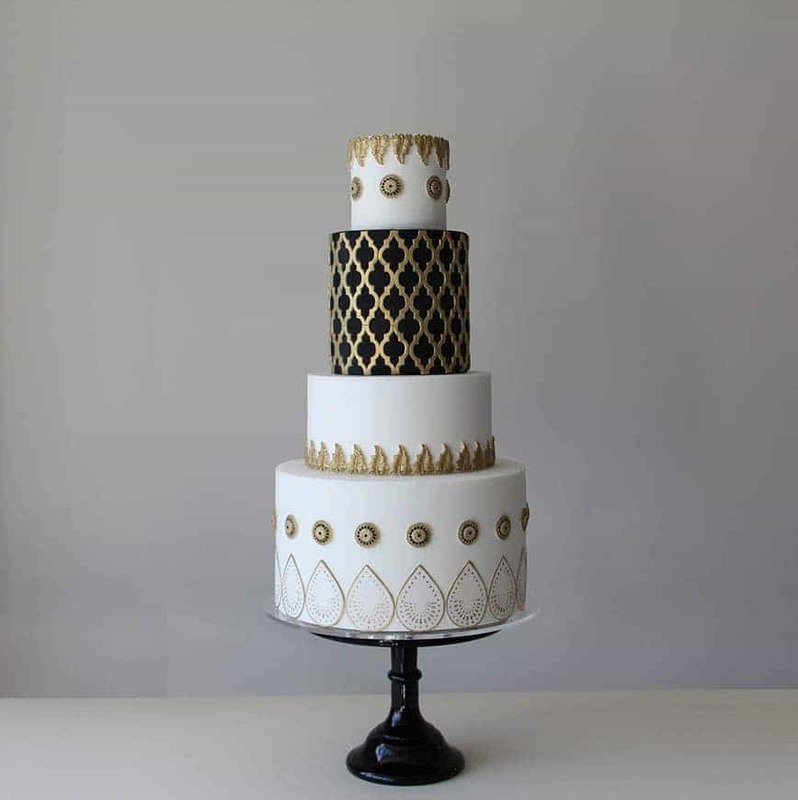 From the initial concept of your wedding cake to its creation, Asha’s ethos is to work closely with each couple, offering a highly professional and personal service. 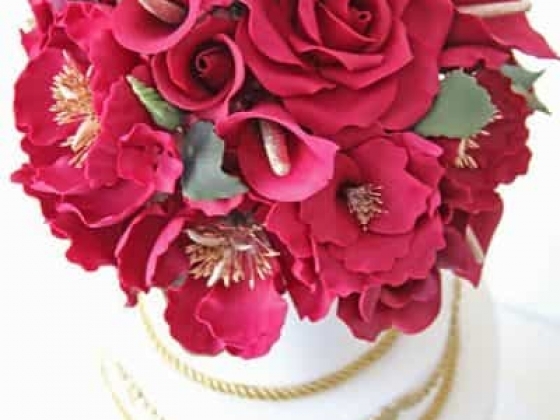 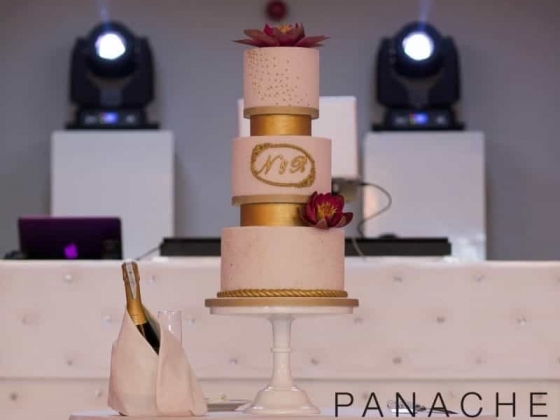 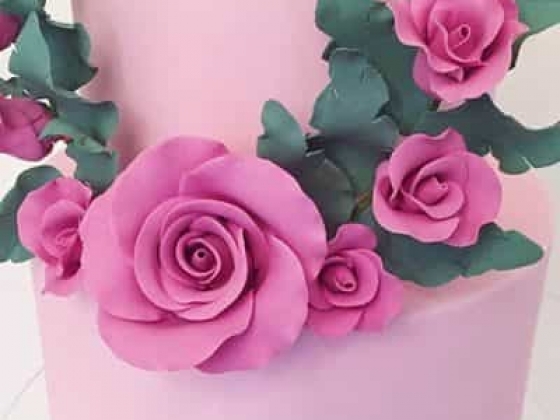 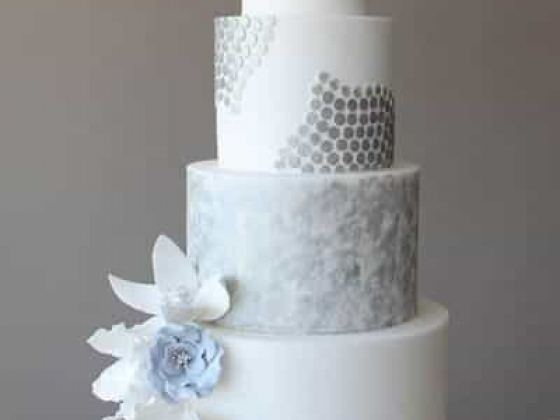 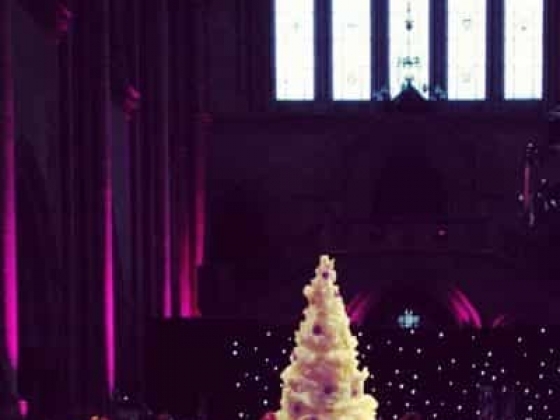 Panache Cake Design primarily delivers throughout London and the Home Counties, however, on some occasions, wedding cakes have travelled as far as Yorkshire and Cheshire. 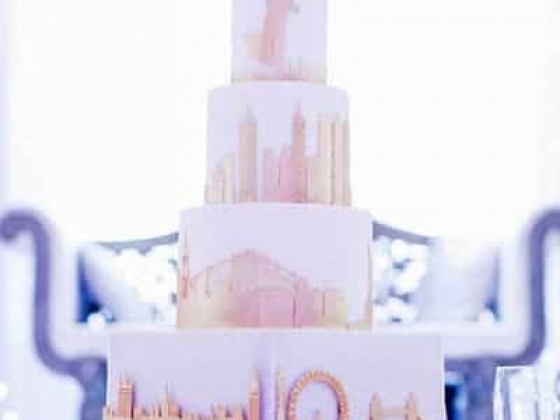 Do get in touch if you are seeking a beautifully executed wedding cake which perfectly complements your event and can truly live up to the biggest of your days.